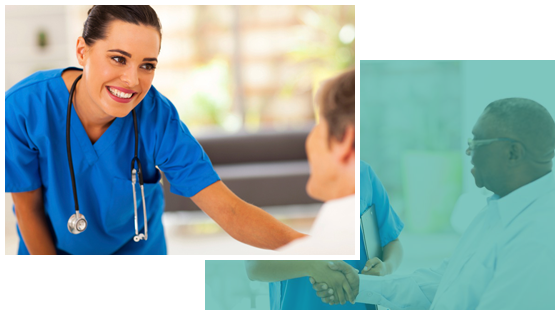 For over 34 years now, SOS Healthcare Staffing has been helping healthcare organizations and home health clients fill their nursing and allied health staffing needs. Whether the need is short term, fill in shifts, contract, travel, or permanent hire, SOS can find the staff needed. We have a proven track record and are located right here in Denver, Colorado. When working with the dedicated sales staff at SOS Healthcare, you can rest assured that we will work diligently to find the right person for the position and the right position for the person. We ensure that our relationship with both staff and facilities is based on understanding the needs of each person involved. Call SOS Healthcare Staffing today to begin working with a firm that will partner with you! SOS Healthcare Staffing employs nurses and allied medical professionals who enjoy excellent pay with competitive benefits, along with flexibility and variety. You choose not only where you want to work, but when and how often. You can work full-time, part-time, per diem contract, or as a traveler. By applying your skills in any of our quality healthcare/medical facilities, you gain valuable experience to help advance your career and at the pace, schedule, and times you want and need! Denver Business Journal as a Top 100 Minority-Owned Business of the Year. As an SOS team member you’ll join our staff of educated, licensed, and experienced professionals. Whether you are a seasoned professional or a recent graduate, once you complete the interview process and needed paperwork, you’re ready to become an SOS “free agent”. SOS is an Equal Opportunity Employer.